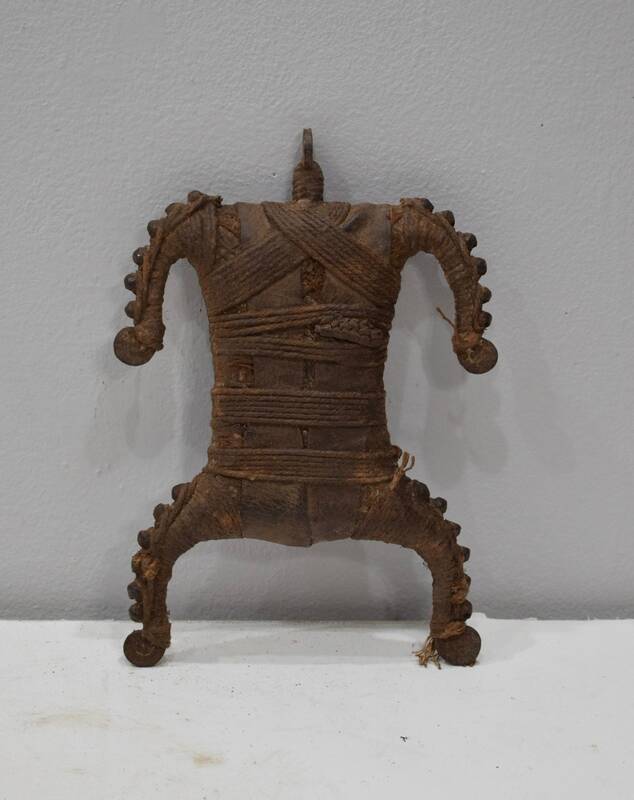 This is a really unique Wrapped Cast Iron Fertility Doll from the Matakam Tribe of Cameroon. An exceptional doll cast in iron with scalloped edges and its torso wrapped with cotton threads. 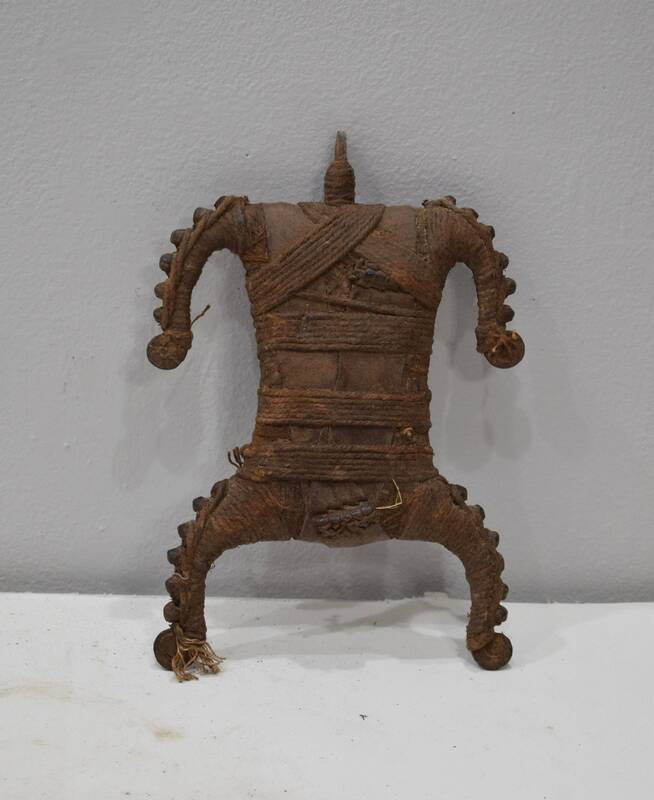 This Matakam doll is a powerful object used for divination. The shape of the doll is decidedly Namchi, with arms bent down and a small head with rounded legs. But the materials suggest Matakam, with cloth wrapping and iron skeleton. The Namchi dolls from the Namji tribe also in Cameroon are unadorned dolls made by the blacksmiths and played with by young children. This doll becomes a surrogate baby for a woman who is having a difficult time getting pregnant, and she treats this doll like a child by feeding it and carrying it around. A wonderful doll to add to your collection or home. Shows age, rust, but overall in good condition. Returns are welcome after 3 days, please contact me upon arrival of package, and shipped within 7 days. They must be returned in the same condition that they were purchased in. Shipping is the responsibility of you the buyer. A full refund will be given when the arrives in the same condition as purchased. All international orders will not be refunded if lost, unless the buyer has purchased a signature and or insurance. We assume all responsibility on lost items sold within the United States.